the absence of connecting tubes and the presence of quality insulation components, beside the use of high efficiency circultators, allows a reduction of energy dissipations and electric energy consumption. 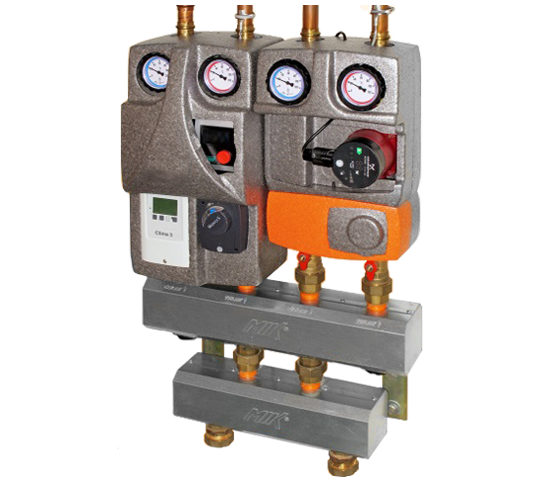 available with pump units equipped with an accounting system for measuring the energy distributed to the energy diffusion system. the system is prepared to operate both in winter (hot water) and in summer (refrigerated water). it is provided with thermometers, flanged ball valves, check valve, bypass, mixing valves, etc. and high efficiency circulators. 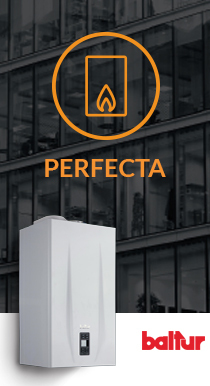 the system can be installed in different set-ups to satisfy different uses and manage the energy both from traditional generators and from renewable sources (solar, heat pumps). Thermal insulation in EPS 25 mm according to DIN 4102-B2 and protection box in galvanised sheet with thickness 0.55 mm. 12 bar hydraulic test. There are different hydraulic modules (e.g. for underfloor, radiators, etc.) for any branch of the system that can be installed on the collector, according to the system type. Therefore, the dynamic of the fluid going through the collector strictly depends on the type of modules installed, each one with its capacity and operating temperature.